The best Christmas events of 2018 happening around Victoria, the Peninsula, Westshore and beyond. 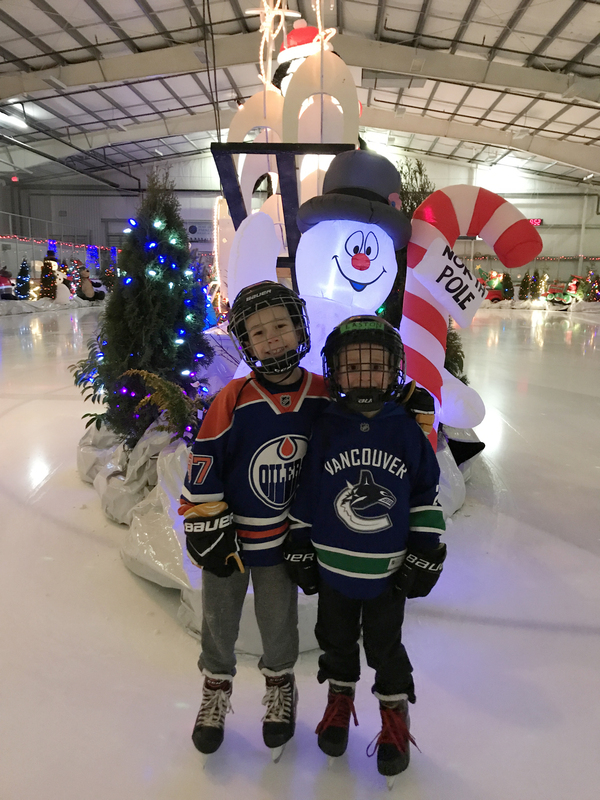 Parades, skating, beautiful lights, Christmas performances, the list goes on! Victoria! You are in luck, there are absolutely HEAPS of Christmas events in the area this year. 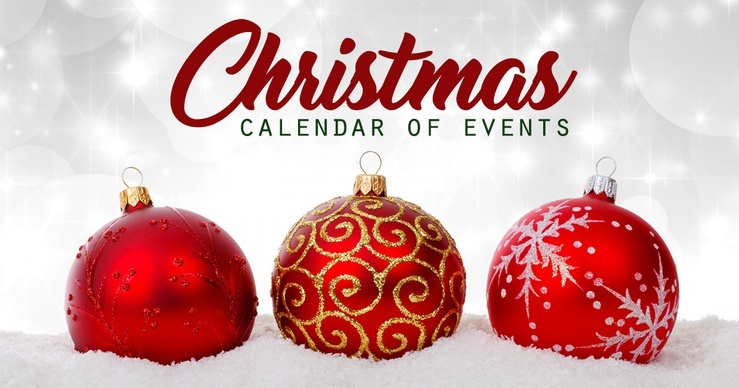 In this list, we outline our favourite annual events (plus some cool new ones) but if you are looking for the MASTER LIST of all holiday events happening around Victoria, the Peninsula, West Shore, and even some up island- then head to our Christmas calendar of events on ChatterBlock. The 27th Annual Festival of Trees is proudly hosted by the Bay Centre. Visit us, and see the Bay Centre transformed into a lush forest of hand-decorated trees. 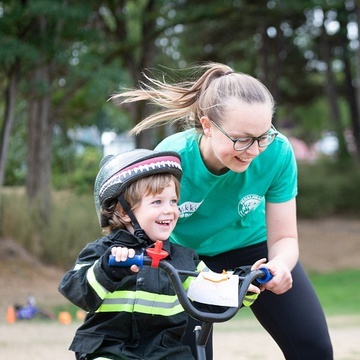 Share in the spirit by voting for your favourite, with all proceeds supporting the most urgent health care needs of kids in BC. 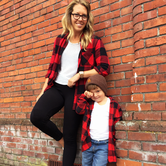 A “sweet” pick when it comes to kids Christmas events Victoria! This year it is Parkside Hotel (previously Laurel Inn) that will host some of the country’s best bakers as they compete in Canada’s National Gingerbread Showcase. Parkside Hotel works in partnership with Habitat for Humanity Victoria on this incredible annual event.. all funds raised from the public support Habitat for Humanity Victoria and it’s efforts to make affordable homeownership possible for low-income families living in the Victoria region. So come on down and check out this years creations! Ho, Ho, Ho… Bring the family to this festive, annual parade to celebrate the holiday season. Enjoy an array of dazzling floats and marching bands that travel along the magically lit Government Street from Victoria’s Inner Harbour to Chatham Street. Meet up at the Capital Iron parking lot for delicious free treats courtesy of Island Farms. Parking will be a bit of a nightmare so I suggest making a day of it downtown and arriving early or consider taking public transit! It's the 11th annual Christmas Tree Light-Up in Centennial Square- turning into a Victoria holiday tradition. There will be musical performances, free treats, toonie rides on the Ferris Wheel, and of course thousands of lights switched on at 4pm! Bring the whole family- rain or shine. Cost- Free. Donations accepted for the Mustard Seed. One of my favourite Christmas events in Victoria! The Oak Bay light up will be the last Sunday in November and will be at precisely 5 pm! The thousands of lights that have been hung on the buildings, lampposts, and trees will light up, and Christmas will officially be right around the corner. Family fun begins at 2 pm with bouncy castle, street hockey, games, crafts, face-painting, music, magicians, and an appearance from Santa! The lighted truck convoy concludes the festival. Watch this Holiday classic come to life! The Belfry’s acclaimed production returns, along with some of the best-loved Dickensian characters of all time. A story of love, generosity and second chances, it takes us through the darkness and into the light of true joy and celebration! When- Shows run from November 28th - December 15 at various dates and times. See schedule. The market will be getting in the Christmas spirit by screening The Holiday! The market is open ahead of time, so come early for some dinner from the market vendors, shop for some Christmas presents, then get your spot. There will be popcorn selling by Kernels Popcorn for only $2 a bag! Limited seating is available so it's a good idea to bring your own chair. Can you imagine a more magical place to visit with Father Christmas than the decorated street of Old Town? Share your holiday wishes and have your photo taken to preserve this special moment. Included with admission. Cost- Regular admission rates apply, photos with Santa are by donation. Cuddle up for these family-friendly Christmas classics! Taking place in the swanky Oak Bay Beach Hotel in the David Foster Foundation Theatre, you'll get gourmet popcorn and house-made ice cream treats with the price. I'd say this is one of the favourite events of the season! Every year the Island Equipment Owners Association gets together, decorates their big trucks and parades throughout our city. 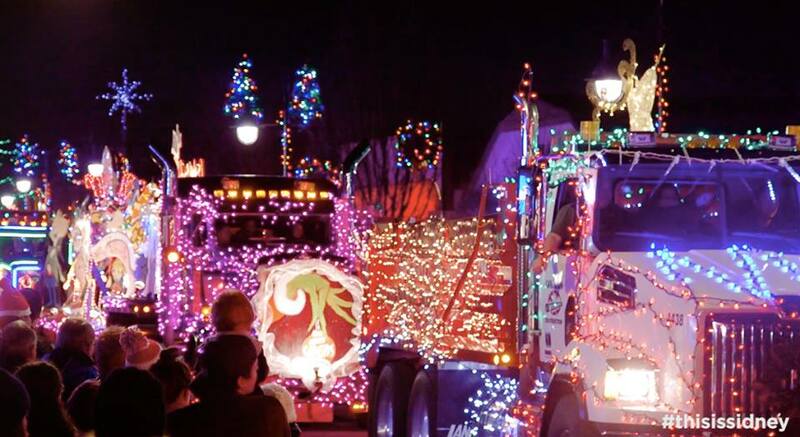 The IEOA Lighted Truck Parade starts at 5:45 pm at Ogden Point, winds along Dallas Road and through Oak Bay and ends at roughly 8:30 pm at Western Speedway. Note- this year is a slight route change, trucks will turn off Douglas at Yates St, back into town on Blanshard. You can join the Christmas light up at Ogden Point beforehand. From 3pm to 5:30pm they will have local vendors, a photo booth, and you can watch Santa arrive by tugboat! The Sea of Lights, lighted ships parade off Willows Beach in Oak Bay, Cattle Point and Gyro Park at Cadboro Bay has become a cherished holiday tradition and the unofficial kick-off to the holiday season for the Oak and Cadboro Bay communities. Join us for the 13th anniversary event, and support the Salvation Army and Oak Bay Kiwanis. The Celebration of Lights includes a parade, light up, entertainment, visit from Santa and refreshments. The best night of the year in Esquimalt! The parade is always popular with kids of all ages, and has proven to be a fun way to kick off this fantastic celebration. All throughout December the Magic of Christmas features fabulous illuminations, holiday wreaths, carolers, brass bands, ice skating and festive dining, making for an exciting and memorable experience. Enjoy the outdoor ice rink lit up with soft twinkling while listening to live, seasonal music. Warm up by the toasty fireplace after a skating session with a hot drink in hand. Kids are invited to get creative and bring a decorated paper snowflake from home to deck out the Coffee Shop; they will receive a cup of hot chocolate as a thank you! Don't miss the annual Twelve Days of Christmas outdoor display throughout The Gardens. A delicious Pancake Breakfast will be served by the Sidney Lion’s Club at a cost of $7 per adult and $5 for children under 12, at the door. Face painting by Susi Sunshine! There will also be photos with Santa (by donation)! Get ready for Sidney to literally sparkle! The Santa Parade runs along Beacon Avenue and Second Street, so grab some tasty hot chocolate, grab a seat, and keep your eyes our for Santa! Hint- he'll be on top of the Sidney Fire Truck. Once the parade is over, make sure you head straight to the waterfront for the Lighted Boats. They'll make their way along the coast from Sidney Harbour to Tulista Park. More info here. Take a festive ride through downtown Sidney! In a horse drawn carriage, take a tour of the quaint town of Sidney while all the lights sparkle bright. Each carriage can seat up to 6 people, they highly recommend making reservations to ensure you get to take part More info here. Join us for our 13th annual First Night New Year’s Eve celebration! Enjoy an activity-filled evening that includes swimming, skating, face painting, our inflatable obstacle course, and much more. This family friendly event will be topped-off with a spectacular fireworks display! From the last Thursday in November to the first Sunday in January, the town of Ladysmith is ignited with the life of thousands of twinkling Christmas lights! Visit anytime to feel the magic, or be there on Nov 29th when the lights first get lit for some extra special fun. There will be a craft fair, street entertainment, a parade, and even fireworks! 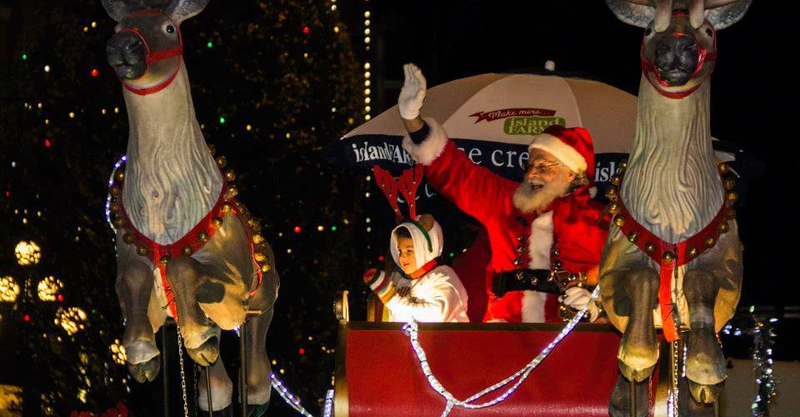 Santa will arrive downtown to turn the lights on at 6:30pm sharp. While the Christmas tree lighting is the star of the show, this event offers free fun for the family with live entertainment, food trucks, and more!There will be lots of fun activities for the family including; the Goldstream Station Market, Musical Entertainment by the West Shore Community Band, Rotary Club of West Shore (Victoria, BC) will be serving Free Hot Dogs & Hot Chocolate (while supplies last), West Shore Parks & Recreation will have crafts for the kids and there will even be a visit from Santa! Stick around after the Lightup and watch the IEOA Truck Parade! Enjoy free food, treats and hot chocolate provided by some of our valued local shops and eateries, while listening to the amazing musical performances by local groups. There will be fun craft activities for kids, led by volunteers from West Shore Parks and Recreation to keep them busy while they eagerly await Santa’s arrival by fire truck! The light up of City Hall will signify the start of the Christmas season! Take a ride on the Christmas Express, visit with Santa Claus, dance to live Christmas music, make a Christmas tree craft in the schoolhouse, watch the model train display, and warm up with hot chocolate or a snack in Train Station Treats. Something every family should experience this Christmas! 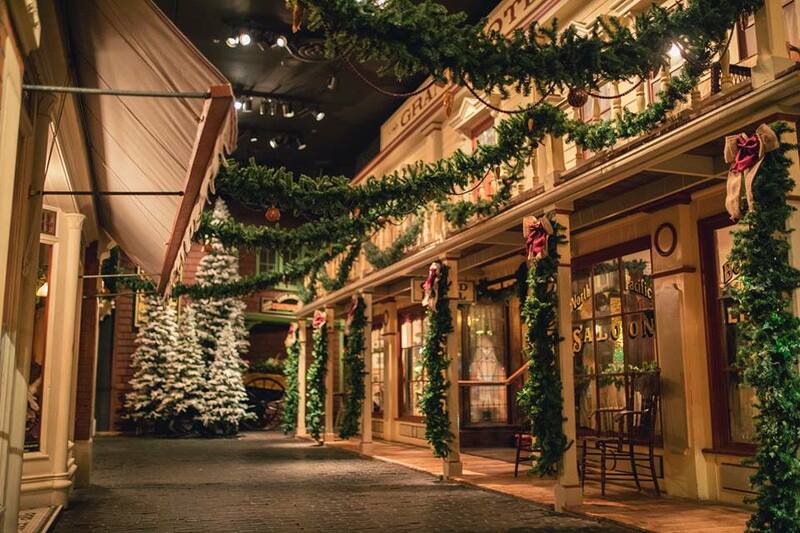 Santa Claus will ride the first train, leaving at 4:30pm, and then will reside in the main museum for pictures and visits! Train leaves every 20 mins until 8:30pm. Get in the Christmas spirit by checking out some of the amazing light displays with the family. Whether heading to a light up festival, one of the attractions, or simply touring some of the best lit neighbourhoods. Get some unique and hand made gifts for your loved ones, stock up on some beautiful decorations, or just soak in the atmosphere over a nice warm drink. We sure have some amazing local talent! What an amazing list of Christmas events! Good thing I'm hanging out in Victoria this Christmas season.